Flexible gas contracts are designed for larger organisations which use a lot of energy. 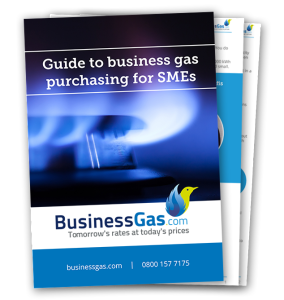 Businesses purchasing gas in large volumes can take advantage of more flexible arrangements which allow them to purchase at regular intervals throughout the contracts length. Because the gas market rarely stays still for very long, there is a lot of scope for purchasing managers to buy during price dips and avoid price spikes. These contracts can be complex. And they are not for the faint-hearted. Good flexible purchasing requires an understanding of the energy market, an appreciation for the industry and a robust risk management strategy. Our team of energy brokers are well placed to advise customers on the gas marketplace. We are always available and can offer recommendations about when to buy, when to wait and how to manage risk. We have years of experience negotiating the best rates with suppliers and are committed to getting the most favourable deals for our customers. We have developed a basket arrangement to make buying as easy and as flexible as possible for our customers. We make flexible gas buying accessible for everyone. Our minimum volume requirement is always negotiable. And we do away with unnecessarily complex supplier arrangements. You only need to agree one simple, individualised contract with one supplier. If you require any more information or if you would like to enquire about a flexible gas contract please get in touch. Call 0208 1503772.